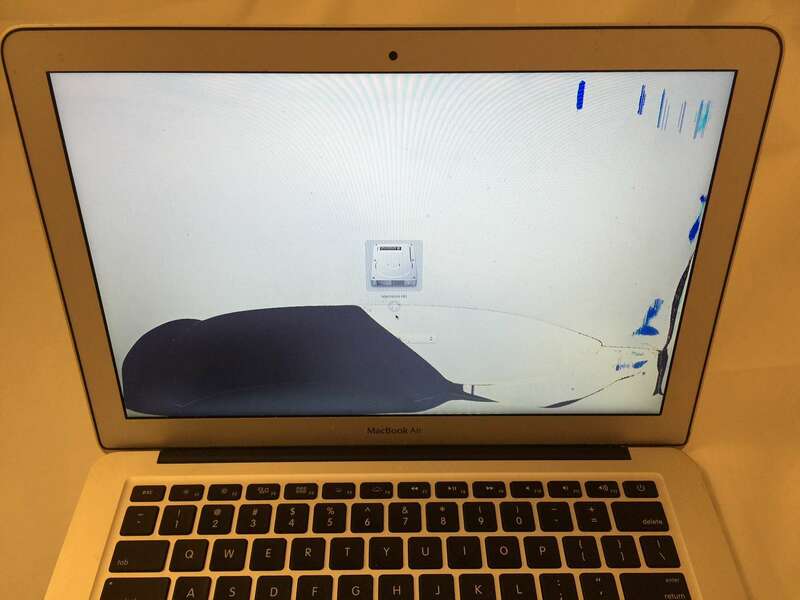 This Apple MacBook Air 13 inch laptop has all the classic signs of a broken LCD. There are cracks visible across the lower portion of the display, and portions of the screen are covered in black spots and blobs. There are also splotches or drips of blue color in the upper right corner. The only things that are missing are multicolored vertical and horizontal lines. 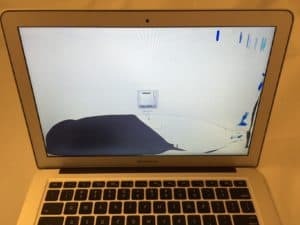 If your laptop looks anything like the image above, you can bet that your Mac’s LCD is damaged. Don’t worry, this is a fixable problem! A new LCD display can be installed in under 24 hours. The price for this repair was only $329.